#Giveaway Enter To #Win A Haan Portable Steamer! 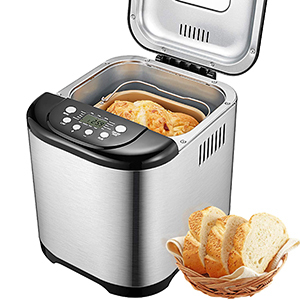 Yepie, we are glad you are here to enter the HAAN HandiPro Portable Steamer Sweepstakes! Looking for a way to clean your home without polluting the air with other chemicals? You are going to love this portable steamer from HAAN USA! Using it can help you disinfect and clean your home without using expensive cleaners or any other chemicals, giving you an eco-friendly, cost effective way to clean your home. With their innovative products and technology, HAAN has made cleaning with steam not only effective, but fast and fun – allowing you spend more time doing the other things you love. To see what we think of HAAN’s amazing products, make sure to check out Budget Earth’s review of the Multiforce Pro & Newly Crunchy Mama of 3’s Versasteam Pro Review. Would you like to personally see the power of steam cleaning for yourself? HAAN is so confident you will love their products, they are allowing two of our lucky readers the chance to win their own HAAN Handipro Portable Steamer ($60 value). This portable cleaner is the perfect size for cleaning just about any small surface in your home, from countertops to bathrooms. With the various attachments, you can even steam garments and upholstery in your own home! To enter, make sure to read the rules below and the enter through the Rafflecopter! Two lucky reader will win a HAAN HandiPro Portable Steamer. Sweepstakes ends March 24 at 11:59pm ET. Budget Earth & associated blogs are not responsible for prize fulfillment. Disclosure: This blog did not receive compensation for this giveaway. Facebook, Twitter, & Pinterest are in no way associated with this sweepstakes. Prize fulfillment will be handled by sponsor. Would you like to have your products featured in a giveaway event? Want to increase your social media exposure this holiday season? See how Mom Powered Media can help! Contactsusan.l.bewley@gmail.com to see what we can do for your company! I would clean my bathrooms first. I would clean the bathroom first!! I would really sanitize my bathrooms first. Getting in all those places normal cleaning doesn't reach. Thanks for the chance. I would clean the boys' bathroom first.